From smartphones to smart cars, technology is everywhere in our modern lives. It doesn't matter what industry you work in or what you do with your leisure time; everyone needs at least some tech knowledge to get by. This is all the more true for our children, who are growing up in an increasingly high-tech world. Without a good education in STEM fields — science, technology, engineering and math — they could fall behind. This is a particular problem for girls, who often aren't encouraged to pursue the sciences. While 66 percent of girls aged 6 to 12 have an interest in computing programs, that falls to 32 percent for teen girls aged 13 to 17. And by the time young women enter college, the number has fallen even further to 4 percent. That means they're often left out of the growing high-tech economy. It doesn't have to be that way. From toys to coding classes, there are lots of ways to foster girls' interest in technology. This could help them find good jobs in the future. But you don't have to tell them that — learning to code can also just be a lot of fun. 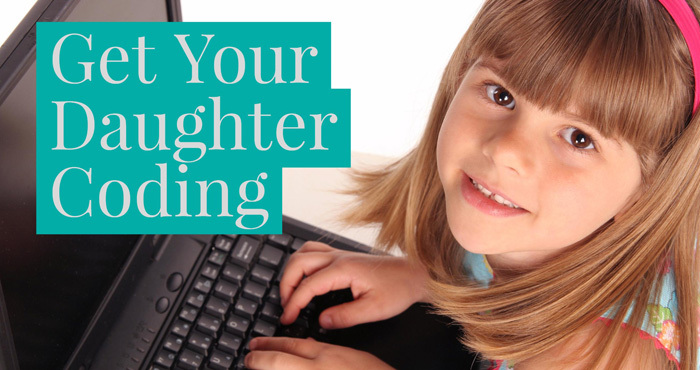 Here some great options to help get your daughters involved in coding. In-person classes offer girls hands-on coding experience with an instructor who can guide them along the way. There are some great free programs for kids of all ages, ranging from hour-long classes to intensive seven-week summer camps. This nonprofit organization offers after-school clubs and summer immersion programs for girls from sixth to 12th grade. Programs are offered nationwide, and all are completely free. 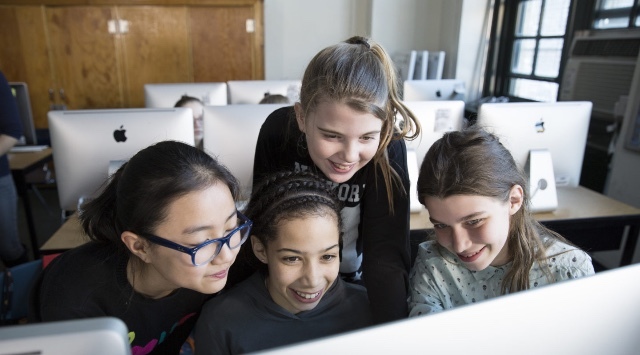 Girls Who Code clubs are designed for various skill levels, from girls with no computer science experience to girls with college-level coding concepts. Clubs meet for two hours a week after school or on weekends at schools, libraries or community centers. The goal is to create a "Computer Science Impact Project." The exact project depends on the club, but everyone involved learns basic computer science concepts as well as the teamwork and time management skills required by real-world technology companies. The Summer Immersion Program is a bit different. The seven-week program runs Monday through Friday, 9 a.m. to 4 p.m., and lets 10th- and 11th-grade girls participate in workshops, meet female engineers and entrepreneurs, and create their own high-tech products. The program exists in partnership with big tech companies like Facebook, AT&T, Twitter, IBM, Microsoft and more. Entry is by application, and stipends are available to help with housing and transportation costs. Applications for summer 2017 are open now, so apply today. Check out the Girls Who Code website to find programs available in your area. Microsoft offers a variety of coding classes and camps for kids of all ages. Classes typically run an hour or two and range from teaching coding concepts through Minecraft to learning practical computing skills in Excel and PowerPoint. Programs just for girls exist, too. DigiGirlz classes and programs have a special focus on encouraging young women in tech fields. All programs are free, but the schedule of events varies depending on your location. Check with your local Microsoft Store for an events schedule as well as upcoming DigiGirlz Days and multi-day DigiGirlz Camps. If you're in New York City, the Fifth Avenue Microsoft Store is holding a STEM event on March 18 from 1 to 3 p.m., letting participants talk to women in STEM fields and get hands-on coding experience. All programs are free, but you should reserve a spot in advance. 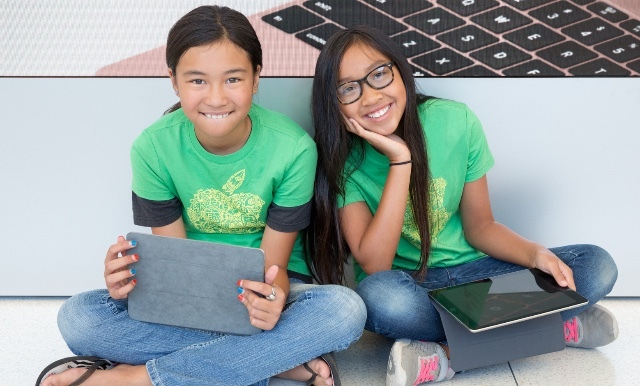 Apple offers free youth workshops and camps at various times of the year. Check with your local Apple Store to see what's on offer. Apple Camp for kids will be available this summer. There's no summer schedule yet, but you can sign up to be notified when registration is open. If there's nothing available in your area, you can always introduce your kids to Apple's Swift programming language, which is designed to be easy to pick up. 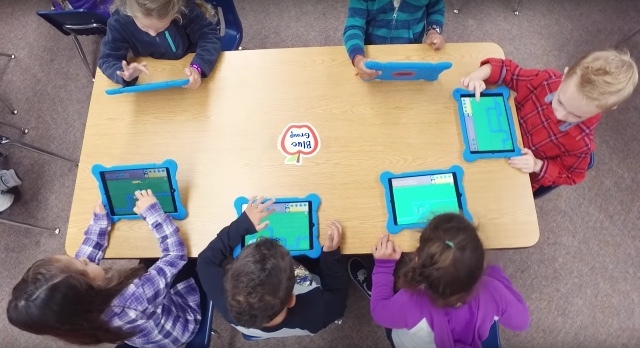 Using the Swift Playgrounds app for iPad, kids can learn the basics by solving puzzles. Typing Swift code on one side of their screen immediately shows results on the other side, making it easy to tell what their code is doing. 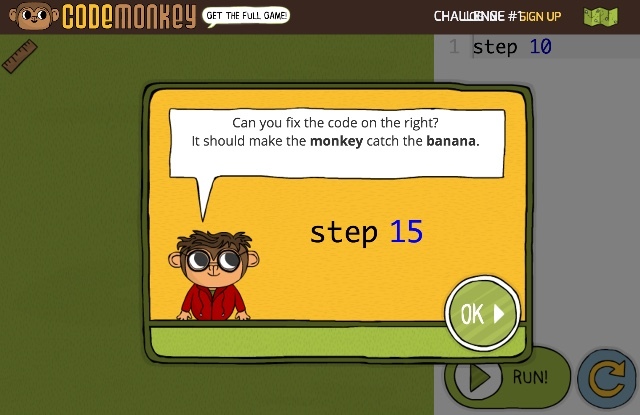 There are plenty of online classes and apps that can teach coding basics without leaving home. Many of them are disguised as games, so kids may not even realize they're picking up useful skills while they're playing. You can access Kodable's basic program for free, but the full curriculum costs $29 for up to four students. You can access Kodable via the web, an app for Android or iOS, or your Mac or Windows desktop computer. CodeMonkey is web-based, so there's no software to install. Just fire up your browser on your desktop or tablet and head to the CodeMonkey website. The program includes 400 challenges plus game design courses, your own challenge builder and all upcoming content for $3.25 per month (or $39 per year), though the fee only covers one student. 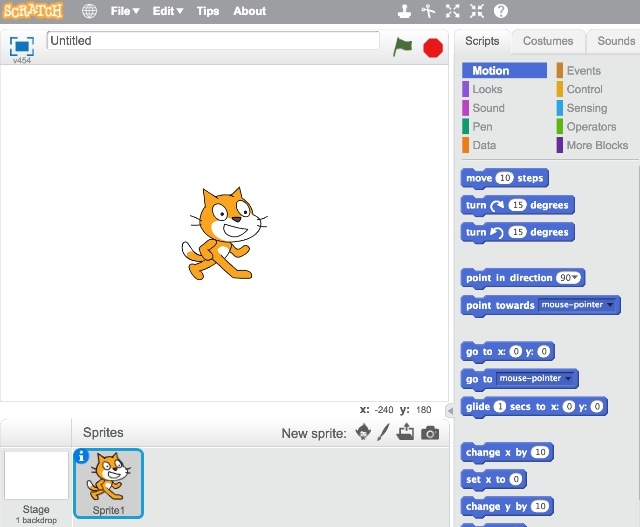 Built by the MIT Media Lab, Scratch is less of an organized programming class and more of a creative tool. What kids do with Scratch is up to them. They can make presentations, create art, tell stories or make games. Building is as simple as dragging and dropping pieces of code, art and music until they get their project just right. Projects are easy to share online, and kids can browse others' creations and check out how they've been built. You can access Scratch online for free, though you may want to run through the getting-started guide before you dive in. If you'd prefer to use it offline or avoid the online community, download Scratch for your PC. You don't even need screen time to teach coding basics, with toys and board games that teach the logical concepts behind programming without having to write a line of code. 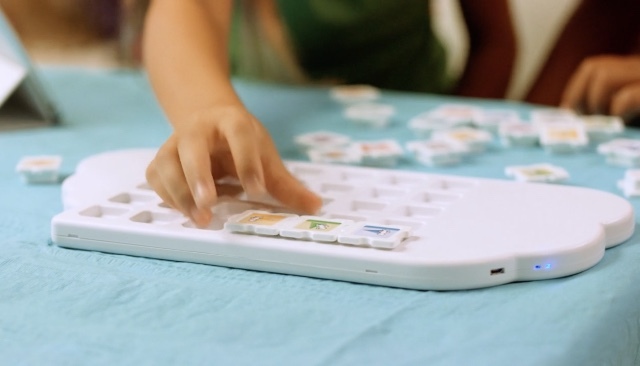 That's right — this toy from Fisher-Price aims to teach coding concepts starting at age 3. With the Code-A-Pillar, kids assemble and disassemble a colorful caterpillar. Each segment makes the critter move differently, turning left, right or heading straight ahead. By rearranging the segments, your child instructs the Code-A-Pillar on how to navigate their room or a custom-made obstacle course. Each segment lights up as the Code-A-Pillar performs the action, helping kids understand the logic and sequencing basics that make the framework of all kinds of coding. This board game for two to five players teaches kids programming using code cards they play to move their turtles around the board. Each card "programs" the turtle to do different actions, similar to the way you would program a video game. It's a bit like CodeMonkey, above, which has you move a digital monkey by typing lines of code. Levels ranging from beginner to advanced keep things challenging even once the kids have figured out the basics. 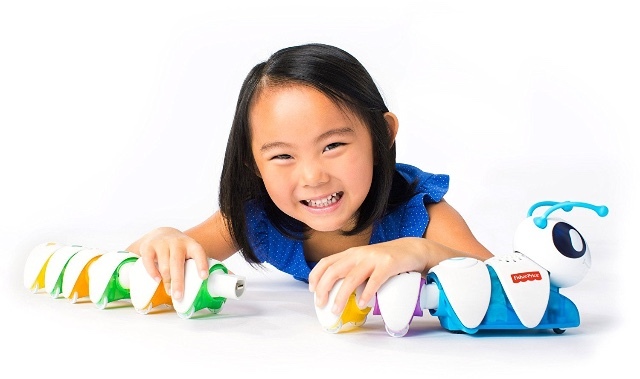 Puzzlets combines the hands-on experience of a physical toy with the excitement of a video game. Games on a tablet (Android or iOS) present a puzzle that your child has to solve using the Puzzlets play tray and programming pieces. Each piece represents a certain action, and just like with the Code-A-Pillar, linking the pieces together in the right order leads your child to victory. Right now, just a single game is available, Cork the Volcano, which focuses on coding. More Puzzlets games are coming soon focusing on math and art, making it a solid all-around learning investment. You may be familiar with Sphero's remote-control robots. They're simple spheres that roll around, light up and even do tricks on your command. The SPRK+ edition adds programming to the mix. You child can program the SPRK+ using the Lightning Lab app for Android and iOS, which lets them drag and drop programming commands to order their Sphero around. The simplicity of programming makes it easy to get started, but as kids learn, they can make more complicated programs. That makes this toy a great option for continuing learning. With a scratch-resistant, waterproof outer shell, Sphero can go anywhere and do anything. An optional rubberized cover gives it extra protection and better grip for going off-road.